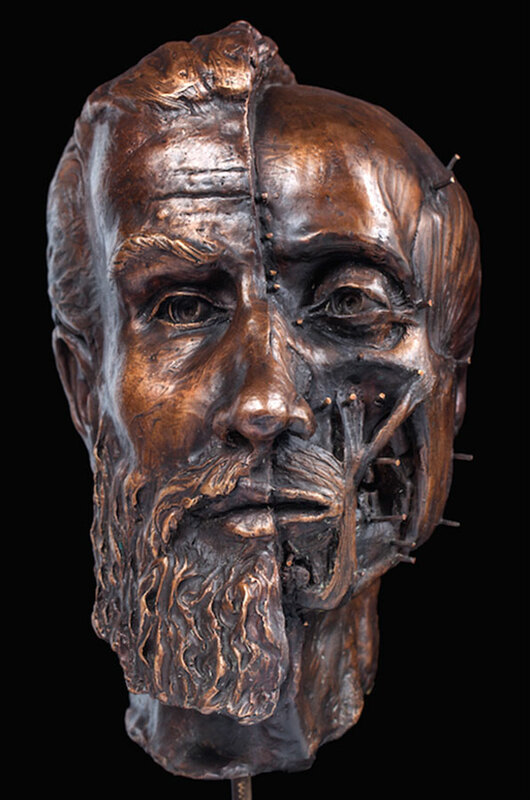 Adreas Vesalius did not travel to the Holy Land under pressure of the Inquisition, neither as penance nor escape: he went there as a devout pilgrim with the support of his employer. Upon his return, he did not die on a deserted beach in the Ionian Sea, the only victim of a shipwreck. Weakened by his stay and by his unfortunate return journey, he died in Zakynthos where he was buried in the Santa Maria delle Grazie Church. 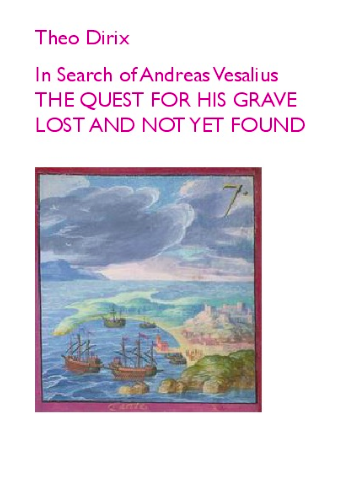 What began as a poetic quest for the lost grave of the father of human anatomy, has evolved into a well documented fresh appraisal of some of the mysteries in the last months of the life of Andreas Vesalius, exactly 450 years after his death, 500 years after his birth. 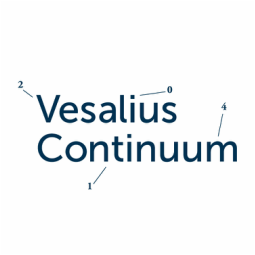 In their exciting search, Pascale and Theo have been advised and supported by the éminences grises of Vesalius Research: Omer Steeno, Maurice Biesbrouck and Theodoor Goddeeris, who found and rediscovered historical sources that erode many fairy tales about Vesalius’s biography. Sylviane Déderix developed a Geographical Information System pinpointing the exact location of Santa Maria delle Grazie Church. 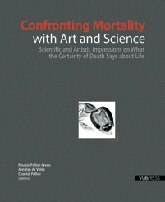 "memento homo, quia pulvis es et in pulverem revertis"
2007 | film (HDV), 15"
co-author of the Book "CONFRONTING MORTALITY WITH ART AND SCIENCE" SCIENTIFIC AND ARTISTIC IMPRESSIONS ON WHAT THE CERTAINTY OF DEATH SAYS ABOUT LIFE (ISBN: 9789054874430). 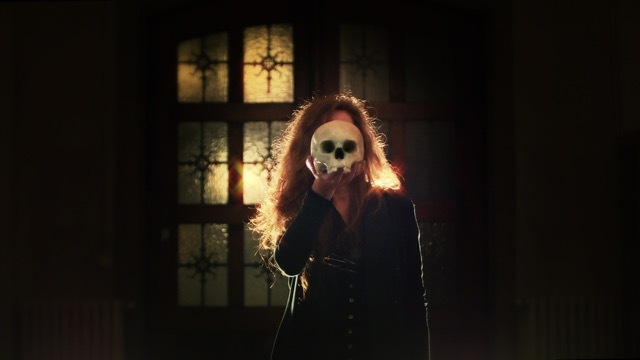 "I HAVE HAD A GOOD LOOK THROUGH 'CONFRONTING MORTALITY WITH ART AND SCIENCE'. I FIND THE BOOK ATTRACTIVE BOTH BECAUSE OF ITS FORMAT AND THE SOBER AND ELEGANT GRAPHIC DESIGN ON THE COVER (AS WELL AS INSIDE BY THE WAY). IT'S JUST A LITTLE SMELLY...BUT THAT'S QUITE BESIDE THE POINT! BESIDES THAT, IT IS VERY AGREEABLE TO FLIP THROUGH. YOU FIND YOUR WAY FROM CHAPTER TO CHAPTER VERY EASILY, AND THE INTERIOR DESIGN KEEPS IT ALL VERY LIVELY. I HAVE BEEN VERY ATTENTIVE TO SCIENCE TRANSLATED INTO ANY ARTISTIC FORM FOR MANY YEARS NOW, SO I WAS VERY INTRIGUED TO DISCOVER THIS BOOK. THE EXHIBITION MUST HAVE BEEN VERY INTERESTING AND I AM SORRY I DIDN'T KNOW ABOUT IT. ESPECIALLY AS EVERYTHING WAS CENTERED AROUND THE HUMAN BODY/EMOTIONS - SOMETHING I AM PARTICULARLY FOND OF. ONE THING I WOULD HAVE LIKE TO HAVE ENCOUNTERED A LITTLE MORE PERHAPS: THE WORLD OF WORDS. ALTHOUGH THE EXHIBITION DOES HAVE A FEW POEMS, WHAT ABOUT A THEATRICAL PERFORMANCE THE NEXT TIME? I WAS PARTICULARLY TAKEN BY THE VARIOUS ARTISTS' WORK - LESS BY WORK WHICH CAN BE QUALIFIED AS 'ARTISTIC' SIMPLY BECAUSE IT IS AN AESTHETIC RENDERING OF SOMETHING SCIENTIFIC. I ENJOYED VERY MUCH WHAT BART KOUBAA HAD TO SAY. I THINK PASCALE POLLIER-GREEN'S 'AUTOPSY IN A NUTSHELL' IS FUNNY, CLEVER AND VERY BEAUTIFUL - AND I ENJOYED READING ABOUT HER AT THE END OF THE BOOK. 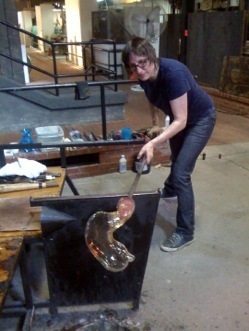 LAURIE HASSOLD'S WORK IS QUITE AMAZING AND ORIGINAL. AND CAITLIN BERRIGAN'S TRUFFLES WITTY AND FULL OF FUN. AND OF COURSE, MARA HASELTINE'S SCULPTURES ARE SINGULAR TOO. 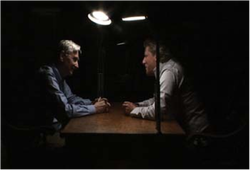 AS YOU SEE - ALTHOUGH IT IS VERY SUBJECTIVE - I WAS MORE TAKEN BY PART II OF THE BOOK. PART I WAS, FOR ME, VERY INTERESTING THOUGH FREQUENTLY VERY ACADEMIC. AND PERHAPS, THIS IS MY MAIN CRITICISM: ALTHOUGH WHAT IS DESCRIBED IN THIS BOOK COULD BE HUGELY POPULAR - IN THE REAL SENSE OF THE WORD - I FIND THAT THE WORLD OF SCIENCE AND ART ARE PLAYING PING-PONG WITH EACH OTHER, INSTEAD OF STRETCHING THEIR ARMS OUT TO THE LAYMAN. YET THERE IS NO BETTER WAY THAN ART TO DO IT. THIS IS SOMETHING I HAVE BEEN WORKING AT FOR MANY YEARS - POPULARISING SCIENCE. THE OUTSIDE WORLD NEEDS IT, BESIDES LOVING IT. BUT IT ALSO NEEDS A LANGUAGE IT CAN UNDERSTAND."